Wallace D. Wattles spent a lifetime considering the laws of success as he found them in the work of the world's great philosophers. 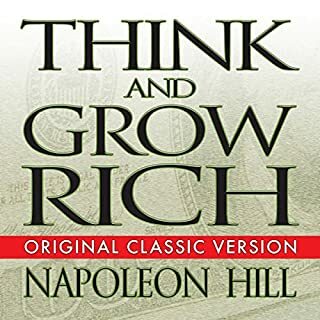 He then turned his life effort into this simple book - a volume that he vowed could replace libraries of philosophy, spirituality, and self-help for the purpose of attaining one definite goal: a life of prosperity. 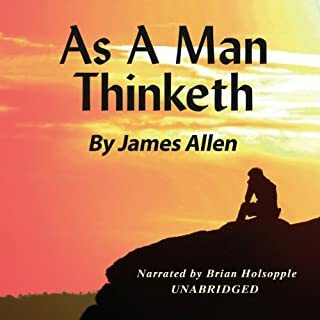 Wattles describes a definite science of wealth attraction, built on the foundation of one commanding idea: "There is a thinking stuff from which all things are made....A thought, in this substance, produces the thing that is imaged by the thought." 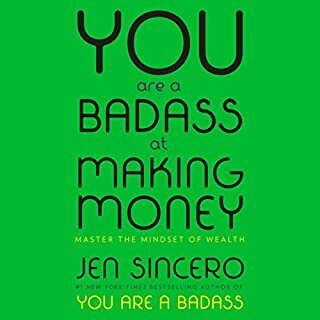 I absolutely love this book...gives a straight up, no beating around the bush approach to get the riches you want in life. I have listened to it at least 4 times already and will continue to listen to it...the more I listen to the more I understand what Wallace is saying. I will say that the narration is fast...meaning the narrator reads very quickly - that could be a good thing and a bad thing. On my first listen, I didn't like it, because I was trying to really think about what was being said, and would find that I would have to rewind it so that it could "sink in". However, now that I have listened to it several times, I like it, because it is a fast read and doesn't take all day. This book and a very few others were the result of a lifetime of investigation by Wallace Wattles. Mentioned by name in the "The Secret" as the book that inspired the beginning of the quest that became the movie, this is a no nonsense here's how it works book. Made even better by the no nonsense delivery. Listen to it untill you know it by heart! This is an excellent listen! It follows all of the teachings that I have learned over the past year. The power is in positive thought. The only thing that holds anyone back is false beliefs. This book helps us to clear up some of those beliefs that may be holding us back. Although this book was originally written about 100 years ago, it is amazing how the thinking applies to today. I can see prime examples of businesses that have embraced the creative way as opposed to the competitive way. The creative way is definitely the winning edge and will truly make you rich in all areas of your life. Wow! Loved the book, especially chapter 4. Awesome information. What a deal for the member price of $4.40. 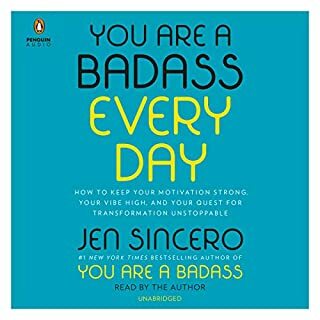 This is the best self help book I purchased so far. I have been listening to and following the principles of the Law of Attraction for several years now, and am always interested in seeking out new interpretations for the understanding and application of this law, in a manner that is logical and respectful to all walks of life. 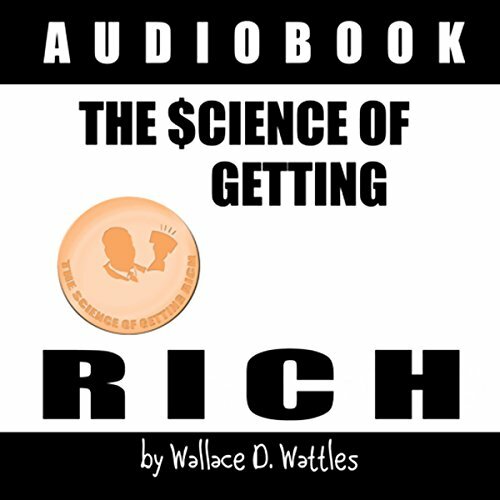 The Science of Getting Rich is neither - I threw it out after the 7th chapter, as I was so disgusted by the author's proclaimations that one simply cannot be fulfilled, loved, or a valuable contributor to life, without having a massive bank account. 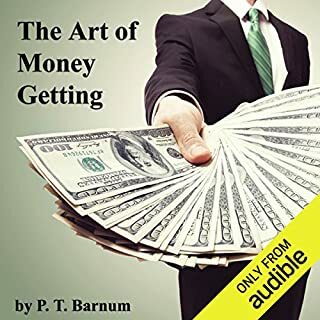 I purchased this book to learn how to have a better relationship with money, to live comfortably in my modest cottage with my husband, dog and garden, not living from one paycheck to the next. I was insulted when the author said that I was going against the will of god to not be striving for something greater - as much wealth as I can humanly gather. I would not recommend the book. Stick to Jerry and Esther Hicks, no doubt. Worldview that completely dismisses the true God of the Bible. Ignorant of many current realities. The book itself is excellent. Unfortunately the narrator does not do it justice. There are so many deep insights and profound thoughts, ideas and revelations in there that need some time to be processed, but the narrator rushes over them at the same unrelenting speed, speaking all the sentences without any variation and pauses. As a kinesthetic and thoughtful listener, I find this style of narration very hard to follow. I feel like I'm missing >80% of the information. A complete waste of money. Poorly written and read religious double talk. I know that some people like to use the word "man" to mean people in general, but this guy needs to expand his vocabulary some. Sorry I wasted my money on this. For thoughts are things...guard your thoughts. You can train your mind. Listen to this audio repeatedly, by so doing you will internalize the concepts herein. There is a thinking stuff from which all things are made and which in its original state permeates, penetrates and fills the inner spaces of the Universe. A thought in this substance produces the thing that is imaged by the thought. Man can create things in his thought and by impressing his thought upon formless substance, can cause the thing he thinks about to be created." You can have reasonably, whatever you will, that you can clearly and concisely formulate and visualize. You must be a creator and not a competitor. You must want for others that which you want for yourself. You must seek greater life for yourself, for it is the will of (God), who lives in you. Focus and act now, always with emphasis on efficiency. Your actions must match your thoughts. Your successive efficient actions, will lead you to be successful. 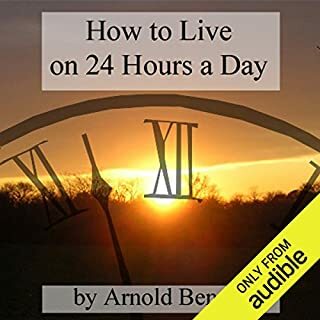 The narration is relatively fast, however if you are to listen to this audio repeatedly as the author suggests and as I recommend that you do this is a good thing. The book and content is great and definitely worth a read. The narration was too fast with no time to actually absorb the information. The book was written a long time ago and as such the style of language is quite dated. Coupled with the fast narration you may want to pause or rewind sections. Luckily at the end of each chapter there is a summary of the information given so far in the book. This is repeated with the addition of new information gleamed within the chapter. Fantastic content so well worth a listen & as a relatively short book it can be listened to again.